Alex, his wife Sue, and beloved chocolate lab, Sally, live in rural Heyworth, Illinois. The proud father of a son and three daughters, Alex treasures his family time and the many activities and events that they enjoy together. Alex’s hobbies include landscaping and playing golf, especially with his son, Evan. 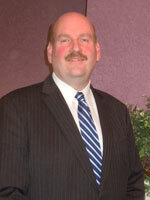 He earned his undergraduate degree from Illinois Wesleyan University and a funeral service degree from Mid-America College of Funeral Services. 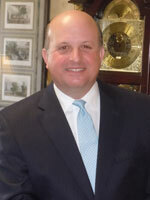 Alex has been working with Calvert Funeral Homes since 1987. Alex readily admits that he always wanted to be a funeral director; and he loves seeing the families he has helped days or even weeks after their service, to see and hear how they are healing and to hear their stories of strength, recovery, and growth. Bill was raised in Bloomington, Illinois near Miller Park as the 4th of 5 children and now resides in El Paso, Illinois. He earned his AAS in Mortuary Science and Funeral Science from Southern Illinois University, Carbondale, Illinois. Bill and his wife have three children and two dogs. An avid sports fan, Bill enjoys high school and college wrestling, and watching the Chicago Bears and Fighting Illini. His daughter keeps him busy watching basketball, volleyball and swimming. 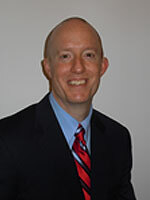 Mike grew up in Washburn, Illinois and attended Worsham College in Des Plaines, Illinois. 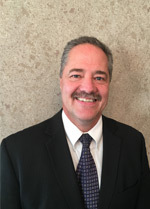 He has been with Calvert Funeral Homes since 2006 and enjoys meeting with families and helping them in their time of need. Mike loves to collect Haeger Pottery and antiques plus hanging out with his two dogs, Jack and Haeger. If Mike wasn’t a funeral director, he would love to be a restaurant owner. Evan represents the third generation of the Calvert name in the funeral industry, following in the footsteps of his grandfather, Larry, and father, Alex. A student at Worsham College of Mortuary Science, Evan’s desire is to further the legacy of his family members and offer the same kind of care and service to the communities in which the Calvert family serves. As Evan readily admits, “I embrace being able to help families in their darkest times in life.” When Evan is not attending to the needs of those aforementioned families or studying, he can be found spending time with his family, friends, and his dogs, Sally and George. Evan loves Bloomington-Normal, especially the wide array of good restaurants, amazing golf courses, and the friendly families that comprise these communities. In his limited spare time, Evan enjoys watching baseball, fishing, and golfing; and he dreams of one day playing on the PGA Tour, where he can play all the top courses in the world and ultimately employ his father as his caddy. Chad and his wife Cammie live in Bloomington, Illinois with their 2 children. As the ultimate sports fan, Chad loves to root for his favorite teams, including the Chicago Cubs, Fighting Illini, Indianapolis Colts and the Minnesota Timberwolves. If he wasn’t working at Calvert Funeral Homes, Chad’s dream job would be the general manager of the Chicago Cubs. 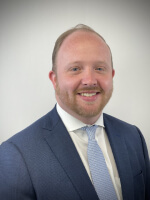 Since 2007, Calvert Funeral Homes has given Chad the opportunity to represent a premier company and build a partnership with the community through marketing and public events. When not working, you can find Chad enjoying sports, movies, reading, traveling or at Bible study.